In the last article we talked about replacing your existing cable connection with online streaming services. What we did not discuss was how to get those services from the internet to your television. That is what we will be covering today. If your TV is new enough, and high end enough, it is probably what we call a smart TV. This means it has the capability to run apps that can connect to streaming services such as HULU, Playstation Vue, Netflix and more. If this is the case and the apps provided get you onto the services you want, then you are pretty much done. Unfortunately there are a lot of TVs that are not smart, or that were smart but do not have the capabilities of running the apps you want. In this case we need to connect something to the TV that can run the app you want so you can get the services you want. If for example your TV manufacturer refuses to provide a Playstation Vue app because they have an exclusive deal with HULU Live, then you may be forced into something you don’t want. Running a device like this also has the advantage of allowing you to upgrade the device without having to upgrade the TV. Say several years down the road the TV you have quits supporting Netflix because of some new requirement that your TV can not provide, simply replacing the streaming device solves this problem. While I certainly do not have anything against smart TVs, I personally prefer to purchase a TV based on the TV portion and provide my own smart streaming device. For my living room I had a PlayStation already so upgrading it to the PlayStation 4 and using it as both my streaming device and a Blu-Ray player made sense. The PS4 supported all the services I was looking at, replaced my existing Blu-Ray player, and replaced the previous PlayStation as well. This substantially removed clutter and made things easier and neater. If it wasn’t for these reasons, I would have used the same device in the bedroom and livingroom. For the other rooms in the house it came down to only one real choice, ROKU. 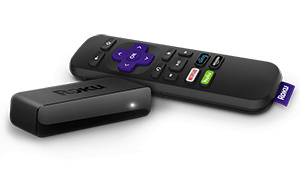 ROKU has been making streaming devices for years and have a wide selection of devices to choose from. They also support pretty much every online streaming service ever made, all in one nice package. Since I am in a fairly large house I decided on the Streaming Stick+ which gave me up to 4k video (even though I was not going to use them on 4k TVs this made sure I future proofed them as much as possible) and most importantly, gave me the advanced 802.11ac WIFI with the best range. These would be used in the TVs in the back house and exercise room. One of these is a semi-smart TV that is only a couple years old while the other is a very old Sharp LCD. Setup on both of these was easy and straight forward although I did have to reboot everything a couple times to get the one working on the old Sharp. In all fairness I do not think anything had ever been plugged into the HDMI port on that old Sharp. The bedroom TV would be where I would need the most horsepower (aside from the living room where the PS4 was) and so I chose the ROKU Ultra. 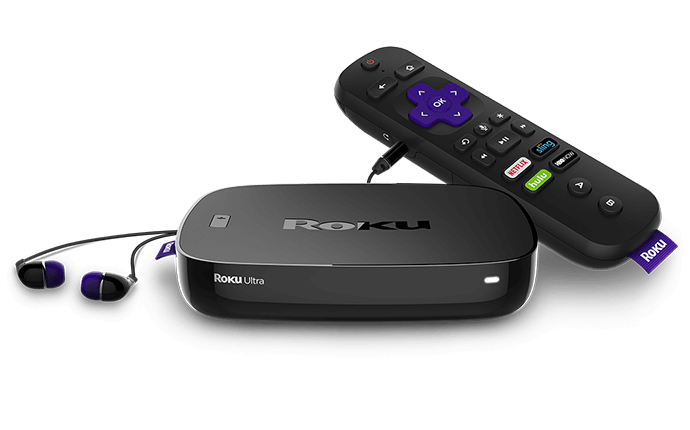 The Ultra has the fastest processor of any ROKU product insuring a quick and responsive experience, it also has a wired Ethernet connection. Good as my WIFI is, my Ethernet is better. We tossed around the idea of using Chromecast devices but that necessitates that we have a device handy at all times. While that is typical these days, we really wanted the TV to be independent of our devices. Amazon’s Fire TV was another contender however it tends to give preferential treatment to Amazon’s own services. Even though we have Amazon Prime I tend to not use it because in my experience, HULU and Playstation Vue are far superior services. I had plenty of experience with streaming devices through the years with products made by Buffalo, D-Link and Western Digital. All of them had pros and cons but all of them pale in comparison to the current offerings from ROKU, PlayStation and even Xbox. One other concern for my devices was the ability to play my personal videos off of a network attached storage device. Both the PS4 and ROKU excelled at this with the PS4 being just a tad better. One concern some people may have is the audio output of their devices. Years ago when you were putting together high quality audio with your TV the audio was patched from one device to another using analog RCA cables. 5.1 audio required six separate RCA cables (or three pairs) that connected the video output device (Streaming device, Blu-Ray player, DVD player, TIVO, etc) to your audio receiver. Today, everything is HDMI and there are virtually no other types of audio inputs or outputs. I did have issue with this and my living room TV as it has a reasonably good sound system and speakers installed. The solution was simply to connect the PS4 to the TV using HDMI and then use the TV’s optical audio output to go to the audio receiver. Most TVs made in the past ten years have this nifty feature. I wound up doing the same thing in the bedroom even though the sound system there is just a little aftermarket 5.1 plug in system. It worked just fine. For TVs that do not have the type of output you need, or where that output does not work, you can buy a simple HDMI Audio Extractor from Amazon for just a few bucks. 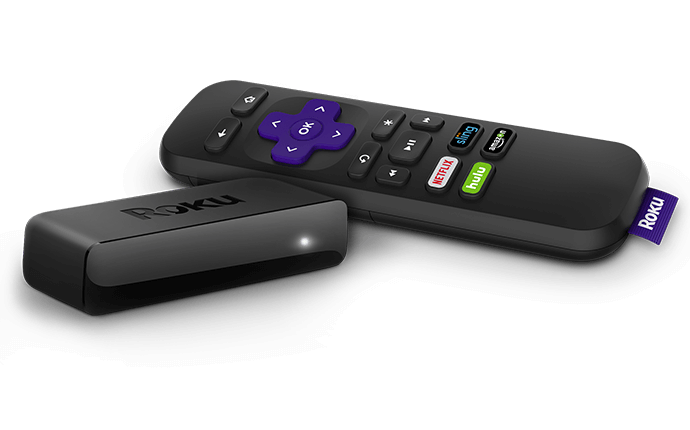 Sticking with the big names such as ROKU for streaming devices ensures that you have a great experience with maximum support for not only current services but for the foreseeable future as well. 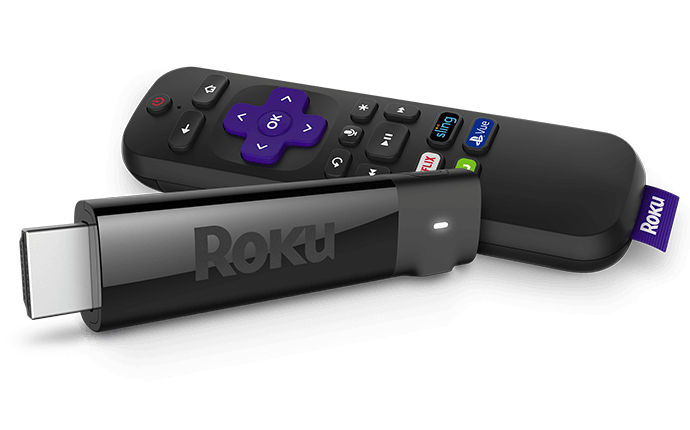 In addition, the ROKU Express is actually one of the cheaper options coming in $10 cheaper than the Amazon Fire Stick.